Read Me Deadly: Golf, Anyone? 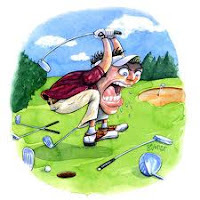 Coming from a family of golfers could have made me an eager player, but I decided years ago that I did not have the aptitude for recollecting where every shot ended up or the desire to share each moment either exhilarating or exasperating with folks after my ordeal. But I do enjoy watching Tiger Woods and reading about the game. 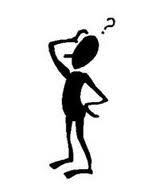 You would think that a sport that commends and commands exemplary behavior wouldn't lend itself to murder and mayhem. But sometimes, what are you going to do with the perfect blunt object in your hand? 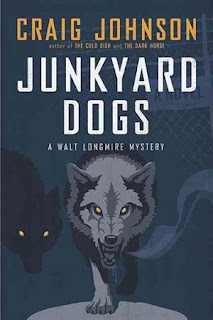 Of course, sometimes this weapon is used far away from the course, as in Junkyard Dogs by Craig Johnson. As it finally warms up here, and heat waves wrap their humid tentacles around the denizens of the middle latitudes, winter is thankfully a dim memory. 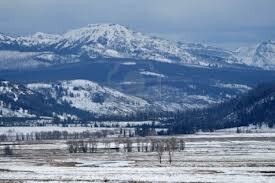 Walt Longmire, the sheriff of Absaroka County, Wyoming is immersed in snow. Walt is tired, and as cold as the winter, for several reasons. His daughter Cady had returned to the East to plan her wedding––for some reason leaving him out of the loop––one of his best officers is having second thoughts about his career, Walt himself has worries about his health that he is trying to suppress and, lastly, he won't let go and have the relationship he wants and needs in his love life. As always, he suppresses all his concerns in the job, and the job always comes through. As in any town, there are people whose actions defy belief but that make perfect sense to them, and the story begins with Walt trying to figure out why a grandfather in his seventies has ended up in a ditch, after having been towed a few miles by a car. I know people like this, you know people like this, and so you settle in for this winter's tale. The case this time involves an unusual death at a junkyard guarded by two vicious animals of great reputation. The corpse is old George Stewart himself, who was recently smacked in the head by a golf club swung by an irate neighbor. But this isn't what killed the old man. Before many days follow, the bodies are dropping like dominoes and the thread that ties them together is hard to find. Walt has to look within families to try and find connections, and he unearths secrets that are deeply hidden. There are always many kinds of people who live in any community. 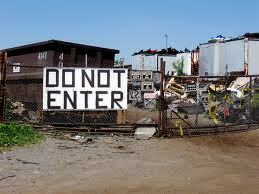 Those who have been there for ages and those who saw the potential of the area and come to change it. This does not always make for peace. As in any community, there is that ubiquitous junkyard surrounded by that chicken-wire fence that is an eyesore, but it provides an essential service. 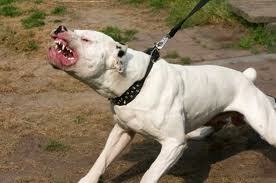 No one wants it in his or her neighborhood and everyone is afraid of the guard dogs. It is a symbol of the other side of the tracks. This sounds more like a big city or town concept, at least a place with tracks, not the wide-open-spaces-of-Wyoming kind of separation. 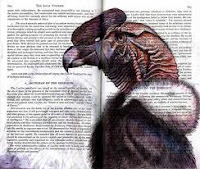 But people are the same everywhere––with a Craig Johnson kind of twist. There is a moral to this story. It is that problems are best faced straight on, whether they be people with criminal tendencies, family difficulties, physical problems, medical issues or junkyard dogs––or you may get bitten in the a$$. 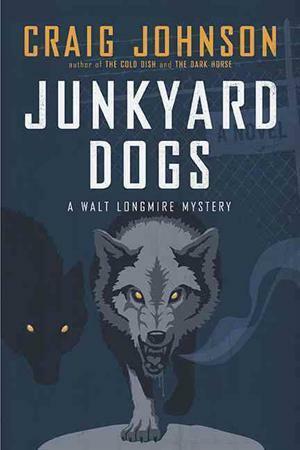 You can always count on Craig Johnson to tell a great tale and take you into his Wyoming world for several hours. This was a great trip. 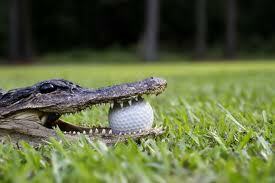 I would score it an eagle (two stokes under par). Following in the great Babe's footsteps by taking up golf is Lee Ofsted, a very interesting character who is a pro golfer in the LPGA. 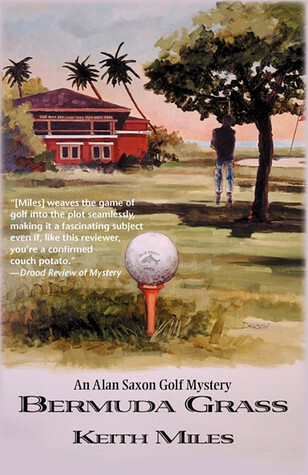 Lee is featured in the Charlotte and Aaron Elkins mystery series about her adventures as a sleuth as well as a competitor trying to break into the upper echelons of women's pro golf. In Rotten Lies, the second of the series, Lee is 23 and she is playing the tour on a shoestring. 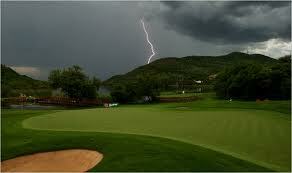 Lee, for the first time in her life, is leading the boards at the High Desert Classic in Los Alamos, New Mexico, when the tourney is halted for a thunder storm. 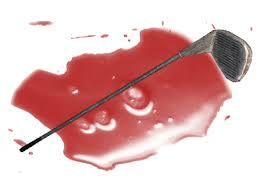 When play resumes, Ted Guthrie, the man most disliked at this club, is found dead on the course. In a cruel twist of fate, Lee injures her arm trying to revive Ted and she loses her first chance at winning on the women's pro circuit. The coroner suspects the lightning strike was no accident. Lee has talent, courage, and an intuitive sense for seeing the way things lie––whether they're golf balls or nasty plots for murder. She senses that something is amiss at the Cotton Creek Country Club, so she and her lover, California cop Graham Sheldon, help snoop out a murderer. 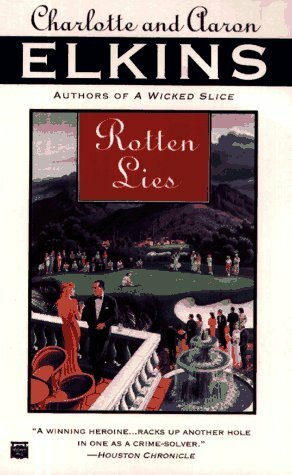 She believes someone closely involved with the game is the culprit, and all of the country club's colorful characters are suspect, from the old geezer holding a golf umbrella near the body, to her own cranky old caddy, Lou. One golf series that weaves the game of golf into the plots is Keith Miles's Alan Saxon string of golf adventures. Saxon is a pro who has passed his glory days. In Bermuda Grass, he has taken on the job of designing a new course for an exclusive resort hotel in Bermuda. He hasn't even had time to change into his bermuda shorts before he learns that there have been several attempts to sabotage the work. 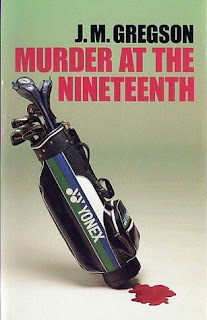 Murder at the Nineteenth, by J. M. Gregson, is the first in the Superintendent John Lambert, Detective Sergeant Bert Hook compendium, both of whom are golfing enthusiasts in Gloucestershire, England. This is an extensive series, which include many crimes with golf themes. 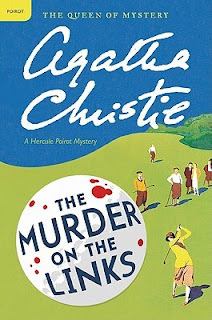 The Murder on the Links is the second of Christie's Poirot series, and from it comes a better picture of what this Belgian detective is like. The thing that struck me was that he might be a precursor to today's Adrian Monk. Hercule Poirot comes into a room and immediately looks around and, if he can, he will begin to straighten up the pictures on the wall, align edges of things out of place and generally look for what is out of order. This is basically the method to his madness, as the saying goes. Poirot's second characteristic is that he leaves forensic details to others. He can't waste time on clues like cigarette butts or blades of grass because, frankly, he knows nothing about them and he refuses to make himself look ridiculous moving his nose across the ground like a hound dog. Leave that for the dogs, he says. Poirot gets a frantic letter from France, where a Mr. Renauld is in fear for his life. Despite leaving immediately with his friend, Captain Hastings, he arrives too late. Renauld has been found in an open grave on a golf course wearing an overcoat, which is too large for him, over his underwear. Aside from the gross infringement of the dress code, the corpse has a look of absolute amazement and terror. Poirot makes the fantastic statement that he could see by the victim's face that he was stabbed in the back. There are many entangled threads, involving several mysterious characters, that Poirot teases out in a delicate fashion, all the while poor Captain Hasting is totally lost at sea. He is a lot more than a day late and a dollar short. It made me wonder just why Poirot puts up with him. 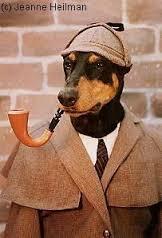 A young French detective named Giraud is on the case. He is apparently the best thing to be had in Paris. He is a young rapidly rising star in fact. 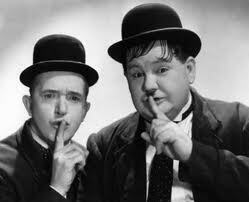 His method is that of investigating the little clues of spent cigarettes, footprints and the like. He barely hides his contempt for Poirot when Hercule refuses to jump to conclusions. Naturally, Poirot has the last laugh while the Frenchman rushes back to Paris with a little less luster on his star. 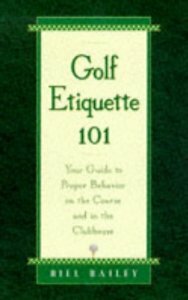 Keep in mind that golfers putter on into old age and that it may be good sportmanship that keeps them in the game. 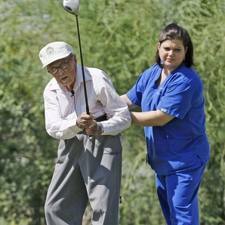 Old golfers never die and they still have their drive. I really enjoy Wodehouse, so I will check this out. Thanks Bonnie.